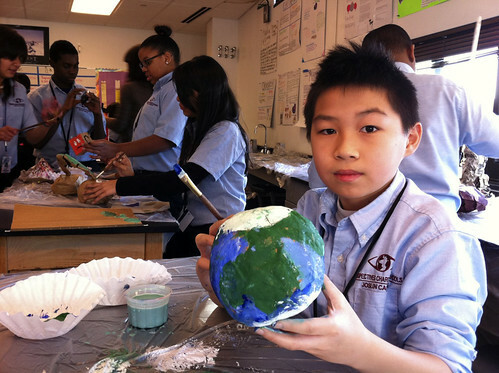 Since the fall of 2010, Chicago Art Department has worked with Perspectives Charter School’s Rodney D. Joslin Campus, leading art workshops for middle and high school students. In the fall of 2011 CAD partnered with with Hyde Park Art Center, who now host the workshop series and allow CAD teaching artists to work with Art Center teaching artists. With art making at the Hyde Park Art Center, students are able to make art in classroom studio art spaces, see professional exhibitions, and interact a working artist community. Here is a Flickr link to see some examples. Many of CAD resident artists have had education goals as part of their residencies, it continues to be a part of a larger learning experience. 2010-11 – CAD Resident Artists volunteer to teach workshops every month for whole year. 2011-12 – CAD Seeing the value from the previous year, CAD’s work expands to include outside, invited artists working alongside CAD Resident Artists, and stipends for all Teaching Artists (supported by the school). 2012-13 – CAD moves program to Hyde Park Art Center, where a collection of CAD Resident Artists alongside HPAC Teaching Artists work with Perspectives students, who are bussed to the Art Center once a month (each time for a different grade). 12-13 Images are linked here. 2013-14 – CAD continues partnership at HPAC this year expanding to enlist St. Xavier University’s support, who supply a classroom of iPads to teach an iPainting workshop to Perspectives students, alongside Darkroom and Painting workshops. 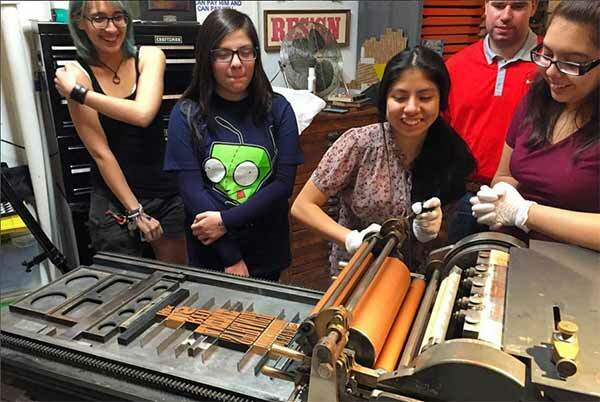 2014-15 – CAD and Perspectives ran workshops at HPAC in Spring of 2015, in areas of print, darkroom, and photo. 13-14 Images are linked here. 2015-16 – CAD will be leading spring workshops, again slated to be held at HPAC. Each of the Pespectives classes offer an opportunity for CAD artists to grow and learn from working in a learning environment. 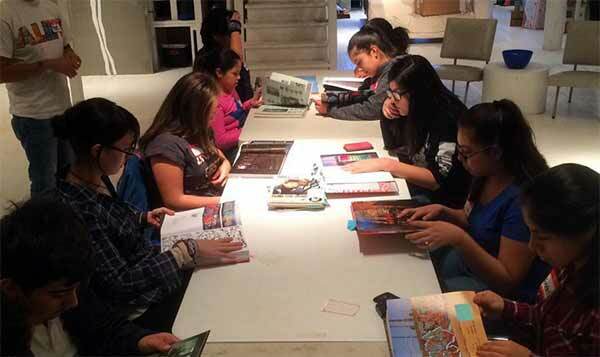 While working with the teens, CAD artists learn about their art practice through proposing their own workshop ideas to teach, and this furthers their practice in the process. 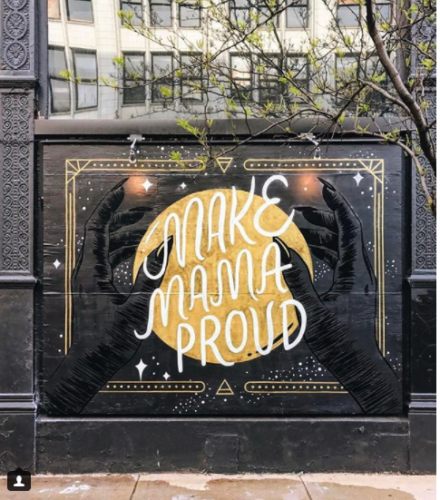 For example some of the workshops taught have been: Linocut Printing (Abraham Velasquez, Jason Frolichstein), Animation (Edyta Stepian, Chuck Pryzbyl), iPad Painting (Nathan Peck, CAD), Art of Protest (Teresa Albor, CAD), Word and Image (Nat Soti, CAD), Drawing Design (Hansel Goo, CAD), Printmaking (Elke Claus, HPAC), Photograms (Candice Latimer, HPAC), Word and Image Tattoo Drawing (Randall Miller, HPAC), Camera Building (Matt Austin and Michelle Harris, HPAC), and Lumetype Printing (Caro D’Offay, Laura Gilmore, and Amie Sell, CAD). In 2015-16 school year we began working with Walsh Elementary. Weekly workshops for a club for middle school students held at CAD, have been led by Resident Artists and explored topics such as graffiti (Miguel Aguilar), sculpture (Jorge Hinojosa), Letterpress (Kent Henderson), office culture (Documents Bureau), community topics (Rachel Harper), and writing (Free Write Jail Arts). Would you like to support CAD’s work with area schools by making tax deductible donation? If you would like to be recognized for your specific support of any part of what we do, please contact CAD Director at mike@chicagoartdepartment.org.